So I have been meditating off and on for over 20 years. That seems like a long time when I put it down on paper. But in actuality, it feels like a short time. Why? Because I still feel like such a beginner. This Fall I rededicated myself to my meditation practice. I promised myself I would meditate at least twenty minutes a day every day of the week. Twenty minutes isn’t that long. Particularly if you think of what a small fraction it is of a twenty-four hour day. But actually taking out twenty minutes from every day to meditate has been harder than you might think. And it is not that I don’t want to meditate. I do. 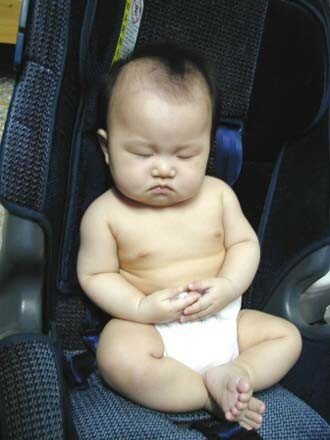 In fact, I love meditating. It’s just that I can find all sorts of reasons to procrastinate – too much going on around me, I might be interrupted, I just need to make that phone call, and return an email, I woke up late, I will get to it later…. The trick I have found is to either do it first thing in the morning, or at mid-day during my lunch break. Getting to it in the evening never seems to work. You can probably tell by all this that I haven’t always meditated every day, but I think that getting to it at least 5 days a week is a good start. Now about those 20 years of practice. I have learned/tried a lot of different styles of meditation. Living in the Bay Area in the 1970’s, Transcendental Meditation (TM) was all the rage. Since then I experimented with several other kinds of meditation, with varying degrees of satisfaction. I can’t say there is one best way to do it. I view all the different styles as useful paths to get to the same place. Some are more rigid and demanding than others. All offer tools and techniques to assist you in your journey. The main thing I have found is that it takes patience and practice. Here are few tools I have found to be very helpful this year. Listen to Dharma Talks: They are readily available on the internet. Google Dharma talks and see where it takes you. I have over the past year had the privilege to listen to so many wise teachers just by checking out their audio blogs online. I have learned so much about myself and my practice, and the Dharma path. Insight Meditation Timer: This is a handy app available for both Droid and IPhone formats. I turn my phone to silent mode, and choose a preset timer, and off I go. I have created several presets, so that I can choose whether I will have a 10, 20 or 40 minute meditation. I love the interval gongs and the ending gongs, and the journal and statistics options are helpful. It is also nice to see who else around the world is meditating with you. Find a Teacher: Meditation is both hard and easy. It is helpful to have someone you trust to whom you can direct your questions. You will be amazed at what you discover about yourself and your mind while in meditation. Having someone to talk to about your experiences and to guide you is nourishing. Meditate with Others: If you have a commitment to share meditation space with others it will help to ensure that you will actually practice on that day at that time. This is the obvious benefit. But there is also the amazing energy of being in the same room with other folks who are meditating. Their energy will support your energy. For all you know, they too could be wondering about the dust in their navel, but maybe, just maybe, they are deeply connected to the energies of the universe, and that is good mojo. Give Yourself a Break: Okay, so you skipped the meditation this morning. The world won’t end. Okay, so you spent your entire meditation doing your errands in your head. That’s happens too. Meditation is not about being perfect. It is about learning; learning to watch the mind, learning to calm the mind, learning to learn and learning to connect. Meditation is about everything else and nothing else, and so, it is about learning to give yourself a break. Yes, after all these years I am still a beginner. I don’t know what my meditation practice will yield on any given day. I don’t know if I will be able to sit comfortably or not. I don’t know if I will have one of those amazing moments of connection and stillness. I may have none or a may feel transported for the entire session. But I do know, that just by trying, my response to my world has gotten calmer, and for that I am grateful. This entry was posted in Every Day Practice, meditation, wisdom, yoga and tagged being present, classes, gratitude, meditation, Mindful Meditation, Village Green Yoga, wisdom, yoga. Bookmark the permalink. Meditation circle tomorrow morning at 8:45am. Join us. Come share your light. Join us tomorrow morning at 8:45 at Village Green Yoga in Issaquah for a meditation circle. Hello I am also a beginner,can you recommend some website where i can gather enough data to learn about meditation. Thanks for asking. There are so many wonderful resources for meditation. I have a few teachers I really respect: Doug Keller, Richard Rosen, Rod Stryker, Jon Kabot Zinn of the Mindfulness School are all good resources. Dharma Centers have great audio streams. Also, Sounds True provides a fantastic collection of resources: books and audio and videos. Rest in the quiet of your breath for 5 minutes and enjoy.